Anne Meadows, President & Director of Operations – Anne has worked in the travel industry since 1972. In 1984, after working twelve years as a retail agent and upper management executive for two major international travel companies, Anne left her secure management career to venture out on her own. 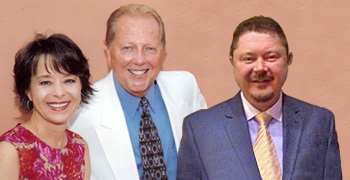 Anne, and her husband Carl, moved to Naples, FL and started their own retail travel agency, Exclusive Travel Center (ETC). 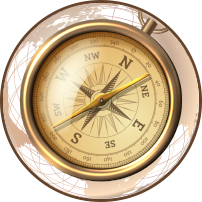 Although the company started out as a retail travel agency, it quickly grew into the specialized area of conference & convention meeting planning, corporate incentive travel and leisure group travel. In 1993, Anne and Carl sold their retail travel agency and moved their base of operations to Denver, Colorado. They kept the conference and incentive travel business they had developed over the years, and re-branded Exclusive Travel Center as ETC Incentives & Conferences, a dedicated group travel company. Anne continues to successfully maintain and operate ETC Incentives & Conferences’ group travel programs keeping her focus on personalized service and attention to detail. Carl Meadows, Vice-President & Director of Group Sales – Carl is an acknowledged expert in several areas of the travel industry. Starting in the travel business in 1970, Carl went on to become Director of Group Sales for one of the largest franchise travel agencies in the USA. During his career, he has owned and operated successful travel agencies, produced national and international conferences and tradeshows, and served as Executive Director of an international law enforcement association for several years. Carl also has an online group travel business course and teaches at the Colorado Free University in Denver, CO. He is a published author, speaker, and writes travel articles for various travel industry magazines. Michael Carroll, Senior Sales Manager – Michael has a 30 year extensive background in the airline and tour and travel industries. From 1985 forward, he acquired a vast amount of knowledge in airline operations, holding several senior management positions during his 23 year tenure with US Airways. 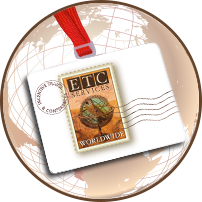 Michael's passion for organizing travel and discovering new and exciting destinations for ETCic's clients shows through at every level, never disappointing our valued clients. His knowledge of conference and meeting planning, corporate incentive travel and leisure group travel make him a perfect fit for the ETCic's Team. 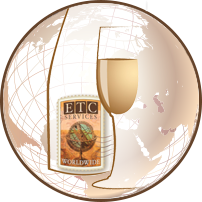 The ETC Team Company-wise, the ETCic Team is small in size, but mighty in getting positive results for their clients. Their longevity and success in the travel industry can be directly attributed to the "can do" attitude that they apply to each of their client's travel programs.